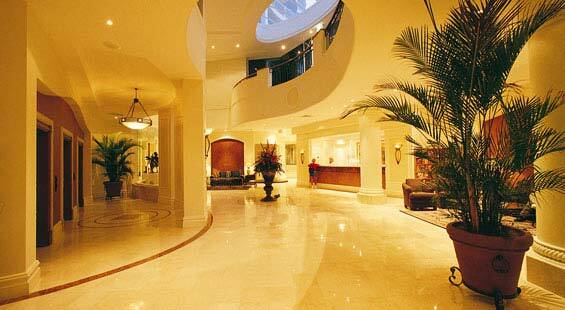 24-26 Queensland Avenue, Broadbeach, Queensland, 4218 Australia. 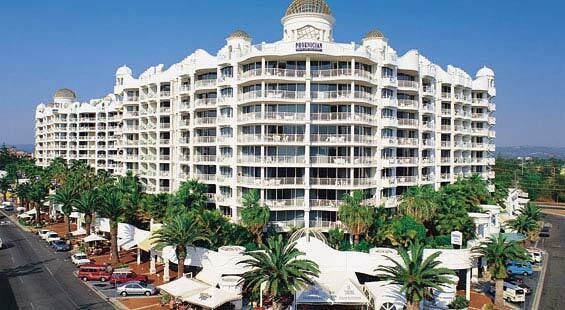 Located in the cosmopolitan heart of Broadbeach, Phoenician perfectly embodies the philosophy of pure relaxation. Just a short stroll from Kurrawa Beach and the chic Broadbeach café precinct, Phoenician is close to some of the finest restaurants on the Gold Coast, Conrad Jupiters Casino and Broadbeach Mall shopping centre. The perfect destination for a carefree weekend away or family holiday, Phoenician allows you to experience the charming cosmopolitan lifestyle of Broadbeach along with the unique attractions of Surfers Paradise and the Gold Coast. The resort offers spacious one and two-bedroom apartments with fully-equipped kitchens, laundry facilities, Austar and CD players. Recreational facilities at Phoenician include indoor and outdoor swimming pools, a gymnasium and BBQ Facilities. The onsite Phoenician Spa Retreat offers plenty of opportunity for pampering and relaxation with a full range of massage and beauty treatments. Recreational facilities at Phoenician include a day spa, indoor and outdoor swimming pools, a gymnasium and BBQ Facilities. There are also two internet kiosks located in the lobby. Tour booking service at reception. Phoenician offers spacious one and two-bedroom apartments set amongst lush tropical gardens and pools. Ideal for families and couples, all apartments are self-contained with fully-equipped kitchens, laundry facilities, Austar, CD players and broadband internet connection. Available with 1 queen bed + 2 singles. Please note that extra person rate applies for the use of Sofa Beds.